We oversee the development of commercial properties, including residential communities and hotel projects, with a view to earning our investors above-market returns while paying special attention to sustainability and ecology. To learn more about the partnerships, joint venture agreements and other ways to participate, please contact Seema Kara today. Once we understand your investment objectives, we’d be delighted to share appropriate projects with you. We do what it takes to get you there. The team at Palmeira has more than 200 years of experience in real estate development, marketing and sales including luxury residential and multifamily communities, commercial real estate, and hospitality properties, and the development and project management of highly specialized, leading architectural buildings worth over $15 billion. The Palmeira team is uniquely qualified to lead in land development, exhibiting the combined governmental, regulatory, financial, and industry expertise required in all phases of the real estate development process. From site identification, conceptual design, land use approvals, architectural and engineering studies, and construction package, to financing, constructing, and marketing the end product, Palmeira demonstrates responsible design, creative thinking and sound decision making. Karim brings two decades of real estate development experience, including major rezoning projects, site and master planning, architectural competitions, concept design, and a multitude of other experience. During his time as a Senior Executive at one of the largest healthcare campuses in Canada, Karim was responsible for overseeing all facilities management and planning for the 96-acre development. His role included full accountability for over $700 million in new capital development, hospital renovations, and maintenance of all utilities, buildings and property. He was responsible for managing over 75 staff members and a $50 million operating budget. As a member of the President’s Council for the campus, Karim contributed to the coordination of hospital strategy, which allowed him to provide valuable strategic real estate planning for the next 50 years for the hospital. Karim successfully managed several major capital projects, including the $110 million Odette Cancer Centre, $175 million clinical care facility, and $90 million research facility. Karim’s consistent focus on setting development projects up for future success is evidenced by his ability to secure rezoning for the campus, which will allow for planned future expansion to proceed. He also created the first Master Plan for the campus, which allowed the executive team to align facilities planning and management with the strategic direction of the facility. Between 1996 and 2010, Karim was the Project Lead on the planning, design and construction of the 17-acre Aga Khan Park and Ismaili Centre in Toronto. The development grew to include the Aga Khan Museum, resulting in a total project value of $300 million. The spaces are used to host gatherings, innovative exhibitions, educational programs, and live performances. As the Project Lead, Karim co-wrote the program plan and functional program, oversaw the architect selection process, managed the schematic and detailed design process, and performed cost reviews, while coordinating the work of international design and technical experts. In addition to his notable success in the real estate industry, Karim has also founded and developed three successful businesses. His most recent venture, BlueprintPal Inc., provided entrepreneur-CEOs with one-on-one training and coaching with the aim of identifying and overcoming organizational barriers to success. 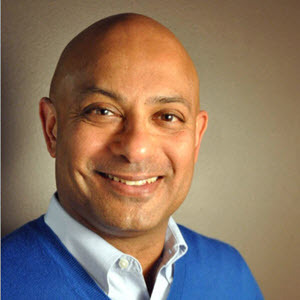 Throughout his entrepreneurial career, Karim has had the opportunity to provide high-end performance and business consulting to Fortune 1000 companies and niche markets across North America. Seema brings invaluable knowledge, skills, and experience from her extensive and varied background in real estate. She has spent 20 plus years working with other real estate experts and strategic industry partners to become an industry leader in international marketing and sales of residential and commercial real estate and property development. Seema is licensed to practice in both Florida and Ontario (Toronto) and has previous experience as a real estate appraiser. As the Broker of Record for Palmeira Realty Inc., Seema offers developer-focused real estate sales and marketing campaigns from concept to completion. She and her team work closely with architects, interior designers, ad agencies, public relations experts, and legal firms to ensure effective strategies are implemented to meet and exceed sales goals. Seema’s work in both the American and Canadian real estate markets includes successful pre-construction marketing and sales, resale programs, and rental programs for major new home projects. Her unique set of qualifications make her adept in the sales and marketing of projects to both US and Canadian clients as well as to international markets including China, India, Dubai, and Europe. Seema has also developed an expertise in securing EB5 Investor Visas for foreign clients interested in investing in real estate in the United States. Seema is committed to client success, which means her work begins long before our clients make their investment. She helps define investment goals and determines how to uniquely diversify the portfolio of each client. Her real estate investments yield superior returns, which is achieved though strong interpersonal and individual relationships and an extensive international network of high profile international brokers spanning the Americas, Europe, and Asia. 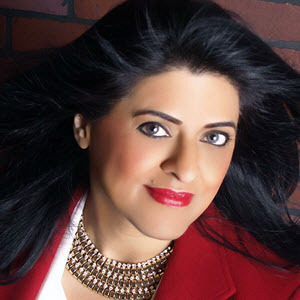 Seema’s distinguished career includes prominent and successful project launches and sales in Toronto including Cloud 9, The Rushton, Picasso on Richmond, Eau Du Soleil, and Rain Condos as well as in Florida including MG on the Halifax (Daytona Beach), Halifax Landing (Daytona Beach), Trump Tower (Hallandale Beach), 50 Biscayne, San Lorenzo, and Everglades on the Bay (Vizcayne). Seema holds a Bachelor of Applied Science from Broward College in Fort Lauderdale. David has spent the last three years building and managing his own business and legal advisory services firm. He provides clients with legal advice and services on corporate, commercial, financing, real estate, development, and environmental matters as well as intellectual property concerns, such as trademarks and patents. His experience allows him to provide his clients with support during negotiations, commercial transactions, mergers and acquisitions, and settlement of disputes. David’s varied and notable background also enables him to provide advice on management, financing, operations, and marketing as well as the development of business plans and financial projections. He was able to enhance his skill set in these areas in his role as President of Torxx EcoHub Limited where he successfully negotiated the acquisition of Kinetic Pulverizer Technology. Prior to becoming President, David served as Chief Operations Officer/Senior V.P. Legal & Business Affairs where he was responsible for management of engineering and fabrication, intellectual property, business development and sales, marketing and promotion, and the administration and financial affairs of the business. With almost two decades of experience at various legal firms across Canada, David has a wealth and breadth of knowledge in commercial and construction litigation and consulting. He has invaluable experience in corporate and commercial law practice including mergers and acquisitions, corporate re-structuring, commercial transactions, agreements and leases, and many other legal areas involved in real estate development. His experience with commercial real estate and intellectual property groups allows him to easily navigate the legal aspects of multi-faceted commercial transactions in Canada and abroad. As a previous business development and management consultant, David has a strong understanding of project management, infrastructure development, and business development and expansion. He has also held various Research Analyst positions in the public sector, which has allowed him to expand his knowledge of government relations and regulatory issues. He has experience providing advice for the management of government and media through public relations, including representing clients before government bodies and regulators as well as during press conferences. Having been involved with negotiations of various private sector agreements from both the public and private sides gives David a unique perspective that he can apply to future government negotiations. He is comfortable working with various levels of government and stakeholders to effectively manage issues and work within regulations. David holds a Bachelor of Arts from the University of Alberta, a Bachelor of Laws from Queen’s University at Kingston, and a Master’s in Business Administration from the Richard Ivey School of Business at the University of Western Ontario. He is also a Member of the Law Society of Upper Canada. Aman is an experienced Financial and Management Consultant with more than eight years of experience spanning investment banking, private equity and credit research. 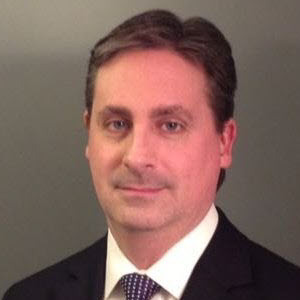 He previously worked with Shape Real Estate and the internationally recognized Moody’s Investor Services. He also brings invaluable international finance and real estate experience. Aman specializes in building complex financial and business models, fundraising capital for new ventures, and new venture start-up consulting. His experience in the real estate industry has allowed him to secure capital funding exceeding $4 billion USD for various infrastructure and real estate projects. Aman’s work spans many industry sectors from real estate and hospitality to power and renewable energy. His broad focus allows him to bring a novel perspective as he applies the best practices from various industries to Palmeira’s projects. 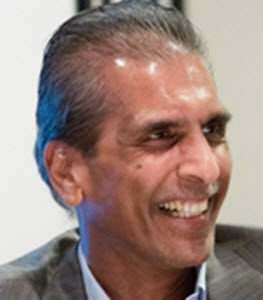 Aman has a deep understanding of the real estate industry from extensive work with developers and project sponsors in the United States, United Kingdom, and India. He also has a strong interest in new venture creation and support, and provides consulting and mentorship services to assist startups in fundraising capital. He has had the opportunity to work with over a dozen startups by providing technology-enabled solutions in the media, healthcare, information technology, asset management, education, and training industries. 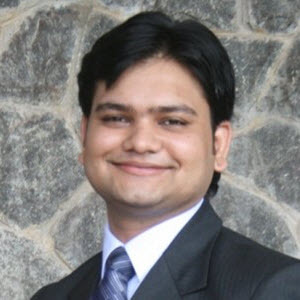 Aman holds an MBA degree from the Indian Institute of Management and a Bachelor’s degree in engineering from the Indian Institute of Technology. Ken began his career in public accounting with Coopers & Lybrand (now PWC) in their Boston office where he reached Audit Manager. He spent the past twenty-five (25) years working in commercial real estate as an accounting and finance professional. From 1998 to 2016 Ken worked for the Swerdlow Group, a prominent real estate developer located in Miami, Florida. Prior to that he worked for several prominent real estate developers in Boston, MA. Most recently, Ken was the Chief Financial Officer of the Swerdlow Group, a Miami based private real estate company with a long history of building and managing millions of square feet of premium residential, commercial and industrial space primarily in Florida. In this role Ken directed all aspects of Swerdlow’s accounting, finance and treasury functions. Coordinating all due diligence and closings for multiple acquisitions working closely with lenders, legal and equity partners. Overseeing partnership formations, assisting in creation of operating and other ancillary agreements. Creating and disseminating partnership reporting and communications. Providing finance and accounting oversight for $750M worth of new construction and renovation projects throughout South Florida and the rapid expansion of a multi-family portfolio which ultimately totaled 10,000 permitted condominiums (1,200 constructed) across six Florida projects. Coordinating the acquisition of distressed real estate projects. Overseeing company litigation (construction defects, Homeowner Association lawsuits). Ken has been fortunate to work with many prominent companies throughout his career. Recent joint venture partners include Boston based institutions such as The Baupost Group (Hedge Fund) and Rockpoint Group (Private Equity), and New York based The LeFrak Organization. Past affiliations include Long Wharf Capital (formerly Fidelity Real Estate), Colony Capital and Stanford University. Minaz has over 25 years of experience in the hotel industry and has successfully led new development, acquisitions, dispositions, refinancing and restructuring for the group in the last 10 years including the most recent successful sale of the Holiday Inn Express & Suites in Richmond Hill and Hampton Inn & Suites in Barrie and achieving a record setting price for a Suburban Select Service Asset in Canada. Minaz has extensive familiarity and experience in the hospitality industry and is currently consulting on new build, repositioning and rebranding assets in the USA, United Kingdom and Africa. Minaz brings valued relationships having actively worked, developed and led conversions with Marriott, Hilton, Hyatt, IHG, Radisson, Wyndham and Best Western in Canada, USA, United Kingdom and Africa. He currently severs as a Board Member of Jubilee Hospitality, a community association of 160 Hotels strong across Canada as well as the Owners Advisory Committee for IHG serving on The Canada committee and The Holiday Express Brand Committee representing the interest of all IHG Owners for the past 2 years. 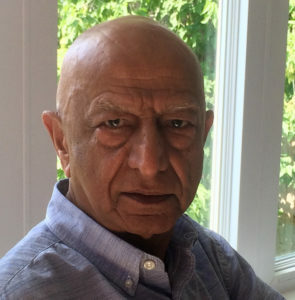 Murad is a civil engineering professional with over four decades of experience in the construction industry, including 11 years as Operations Manager at PCL Constructors Canada Inc. and 18 years as a volunteer consultant with IMARA Wynford Drive Inc. He has extensive North American and overseas experience on a huge number of highly complex construction projects. Murad’s reputation for effectively managing multiple large construction projects and consistently completing new developments on budget and schedule while ensuring safety and quality objectives makes him an indispensable member of the Palmeira team. His extensive experience in negotiation, mediation, labor relations, and conflict resolution are of particular importance as Palmeira negotiates and secures contracts throughout the construction process. Murad’s decades of experience in the North American construction industry are coupled with broad experience in international markets. 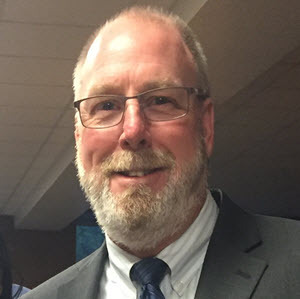 He has spent the majority of his career working with PCL Constructors Canada Inc. as both an independent consultant and in various management capacities. As a risk management consultant with PCL, Murad performed regular audits to validate safety, schedule, quality, and cost objectives on projects ranging from $50 million to $1 billion. In his role as Operations Manager, Murad grew the Toronto office from $100 million to $750 million volume within 11 years and expanded his team from 65 to 250 employees. At IMARA Wynford Drive Inc., Murad oversaw the development, from acquisition of land, zoning, design, procurement, construction to owner/user occupancy and handover of the Ismaili Centre, Aga Khan Museum and Aga Khan Park in Toronto, projects valued at a combined $300 million. During this time, Murad also contributed, in a similar role, to the Delegation of the Ismaili Imamat project in Ottawa, valued at $90 million. He also spent five years as a Board Member at Toronto East General Hospital where he had the opportunity to oversee the design development of $250 million worth of capital project for the hospital. Murad holds a Civil Engineering Diploma from Kingston-on-Thames College of Technology, U.K., is a Gold Seal Certified Project Manager of the Canadian Construction Association. Palmeira is a proud supporter of the The Spark of Hope Foundation, which empowers bright young women in the Global South, especially in regions that are in turmoil or remote, to become tomorrow’s leaders through providing scholarships for post-secondary education. With university education, each of them will impact thousands of lives as doctors, engineers, journalists, lawyers, managers, scientists, researchers, entrepreneurs and teachers. We invite you to join us in BECOMING A DONOR TODAY. Your gift will will be multiplied at least EIGHT times and is fully tax deductible!